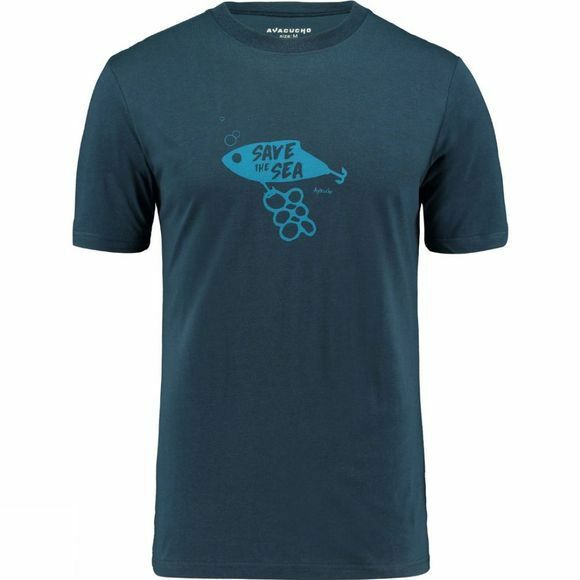 The Men's Save The Sea T-shirt from Ayacucho is a casual T-shirt with print, made with a Tencel/cotton mix. The material is composed of natural fibres that absorb moisture and have a unique cooling effect. The material offers UPF50+ protection so you’ll be better protected from the sun this summer. Wear this T-shirt every day to work, at a party, on a beach trip or when holidaying in Asia.